Home » News » Vodka "Russian Forest" - Return of the legend! Vodka "Russian Forest" - Return of the legend! Its history, vodka Russian Forest began in 2008 and was the largest annual sales of the brand. 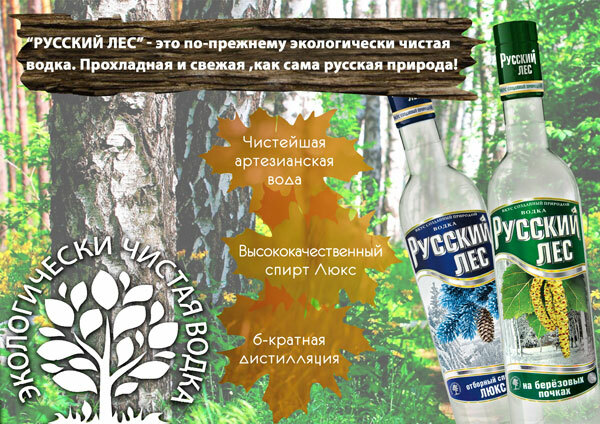 Many companies tried to copy us, created similar images of vodka, but the vodka "Russian Forest" - only one! Like all the familiar and favorite series of vodka - "Russian Forest. The Natural Series. " The concept of "Russian Forest" is based on our love for our native nature, its purity and pristine beauty! - Vodka "Lux" from the infusion of spirituous kidneys of pine. - Vodka "On birch buds" from the infusion of birch spirits. 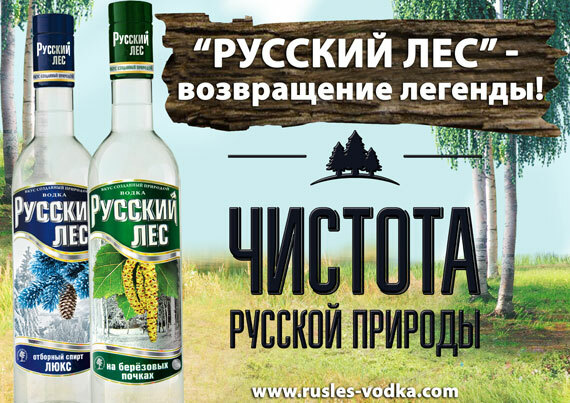 "Russian Forest" - our national pride, so our vodka is close and understandable to the Russian people!